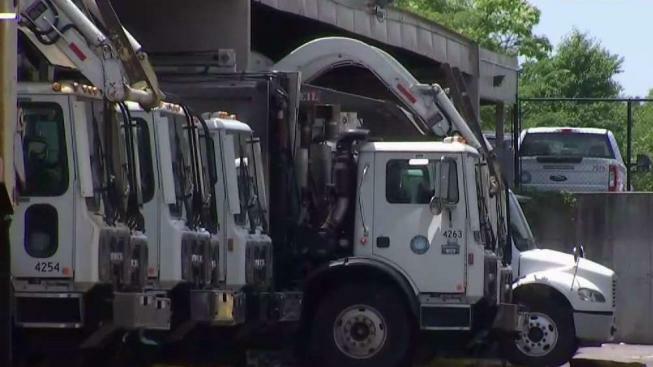 The City of Alexandria, Virginia, claimed immunity after a trash truck struck a resident’s SUV, causing $4,600 in damages. Elena Mazzeo’s SUV was parked along the curb when it was struck more than a month ago. “As it was driving down the road, it hit the rear of our car, lifted it in the air and dropped it,” Mazzeo said. Police took a report, and so did a solid waste supervisor. They apologized and promised to take care of the damages, Mazzeo said, but three weeks later the Mazzeos received a letter saying the city would not pay for the repairs because of sovereign immunity. Citizens only get payment is there was gross negligence – more than a simple mistake. He said the policy of not paying saves the city money. But the city the Mazzeo hopes the city will reconsider. “We see this as a matter of right and wrong,” she said. Several other jurisdictions also rely on sovereign immunity to avoid payouts, but in Arlington, each claim is evaluated on its own merits.